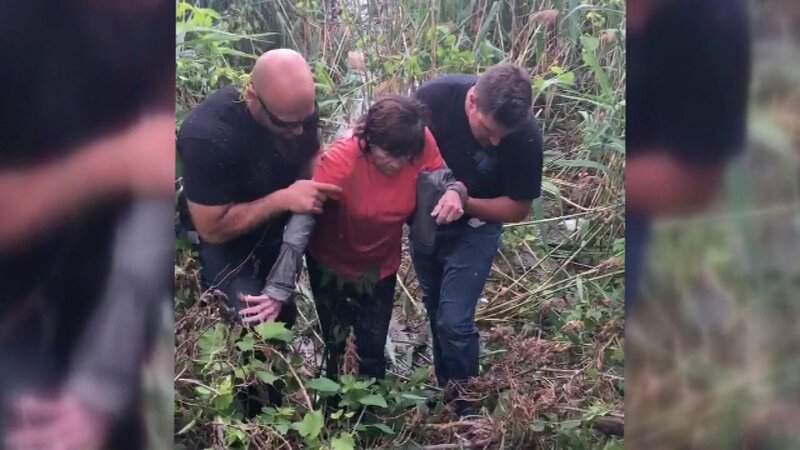 MONROE COUNTY, Mich. (WLS) -- An elderly woman missing for nearly two days was found in a marsh in Monroe County in Southeastern Michigan. Officials said 83-year-old Mary Fletcher wandered away from a home while visiting family. Crews searched on the ground and from the air and eventually found Fletcher in a remote, swampy area, trapped in by weeds and mud. Fletcher was taken to the hospital to be treated for hypothermia, according to officials.